Looking for a little printspiration? Then look no further than Brooklyn-based brand Ace & Jig. Launched in 2009, this eclectic label was created by designers – and close friends – Cary Vaughan and Jenna Wilson. 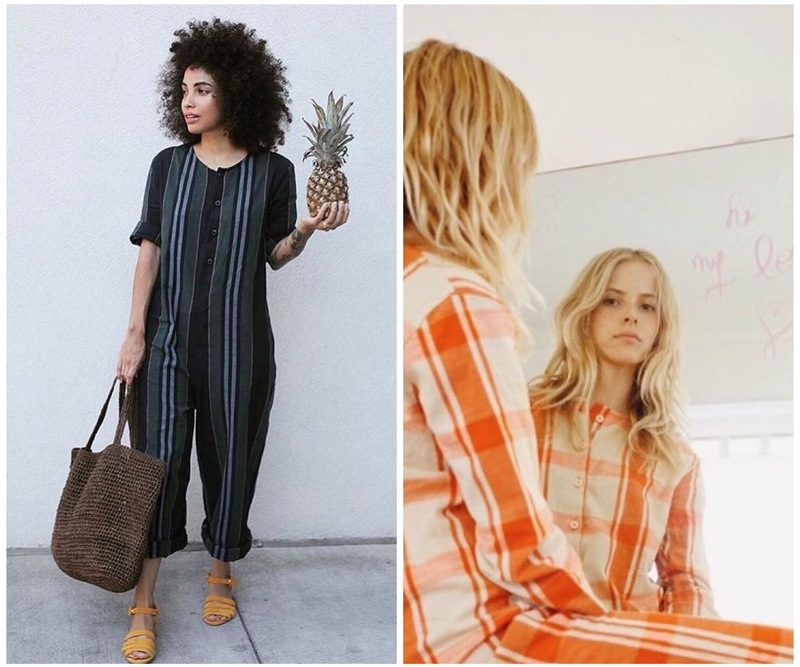 This creative super team launched their label with the idea of creating a line of clothing that was timeless, seasonless and effortlessly chic. And all it takes is a quick look at their Spring/Summer 2017 collection to know that they’ve definitely succeeded. Loose fitting silhouettes and stunning fabrics are the two main components of this brand’s magic fashion formula and every piece is as comfy as it is head-turning. Cary and Jenna draw most of their creative inspiration from their own textile collections, including antique French linens and Japanese boro quilts. 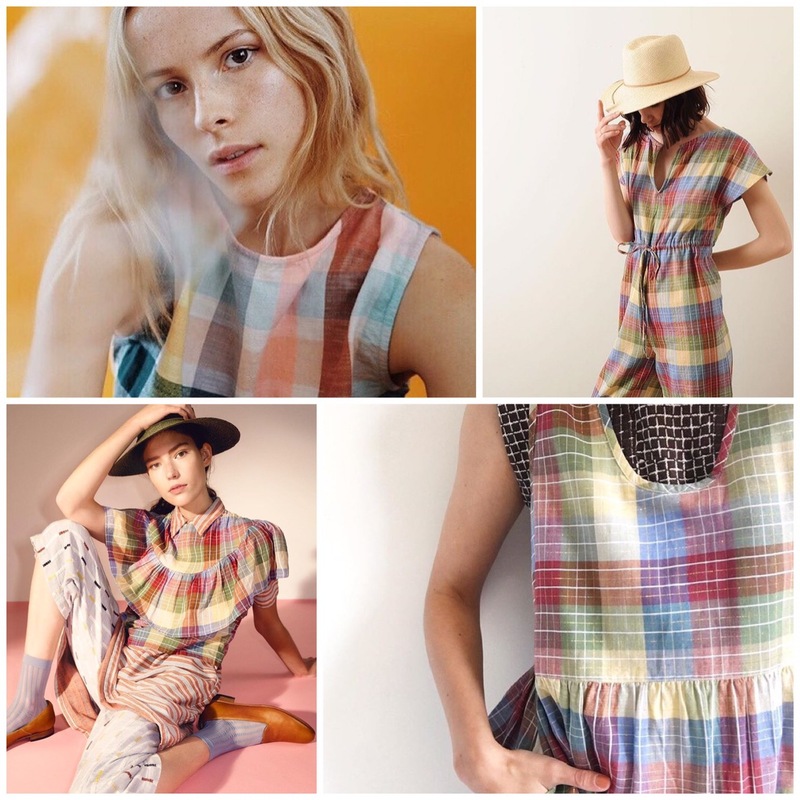 This worldly influence is clearly present in their aesthetic and all of the fabrics they use for Ace & Jig are 100% original and are woven in India using ancient wooden hand looms. 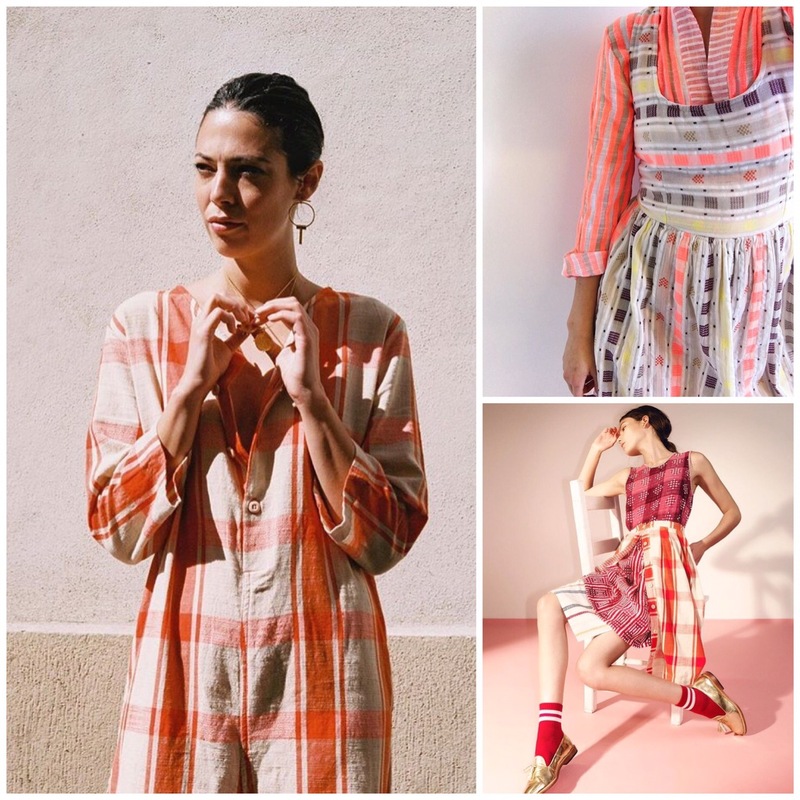 India’s culture is intricately woven throughout the fabric of the brand (both literally and figuratively) and each piece is created ethically and with compassion. Workers in India are provided with childcare and organic produce, ensuring that their physical and family needs are more than met while working. The ornate textiles that these artisans create are nothing short of breathtaking and every season of Ace & Jig is like a smorgasbord of different textures, patterns, and colours. Although Cary and Jenna show their love for all types of patterns (jacquard, gingham, plaid, checkers), stripes are their all time favorite, and you will never see an Ace & Jig collection devoid of stripes. Whether they are thick or pencil thin, every collection has a refreshing take on this classic print. So if you can’t get enough of stripes, then you’re going to fall in love with this quirky label! Ace & Jog’s Spring/Summer 2017 collection is earthy and rustic, saturated with a mix of subdued neutrals and oceanic blues. Gingham and, of course, stripes are splashed throughout the collection. I absolutely love the multicolour gingham pantsuit (the print is called Madras) and the comfy Ojai crop top (in solstice – a pale fawn and white pattern). 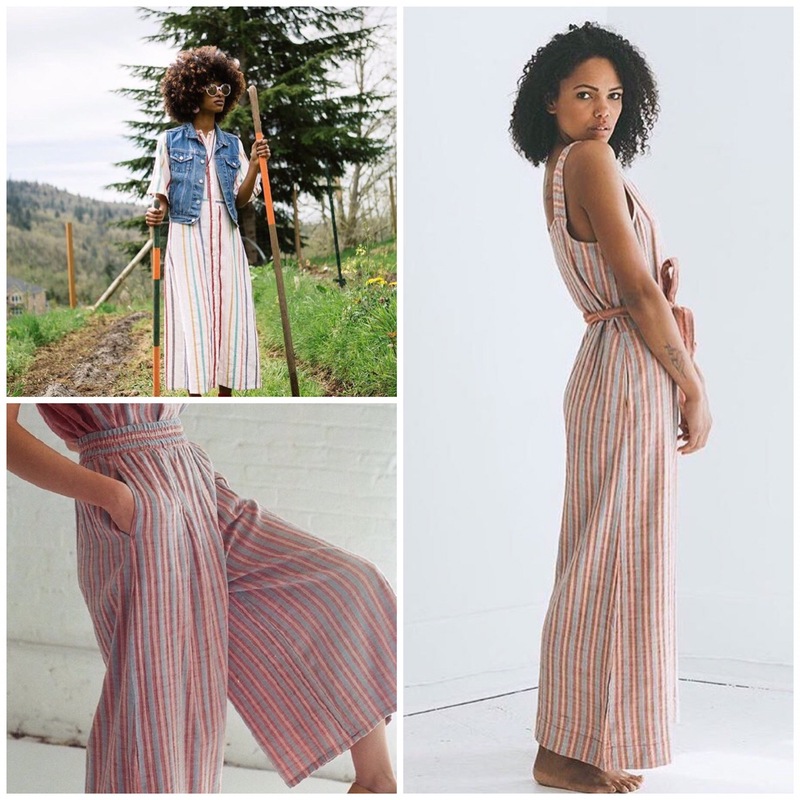 These pieces are comfy and effortless – perfect for lounging around or a summer picnic with the family. There are so many pieces from this collection that I’m lusting over, but these top 10 are my ultimate favorites! What piece from Ace & Jig’s Spring/Summer 2017 collection is your favorite? I want your thoughts! Let me know in the comments! No matter what mood I’m in, music has the power to alter my state of mind, change my perspective, and make me feel in ways that other art forms can’t. 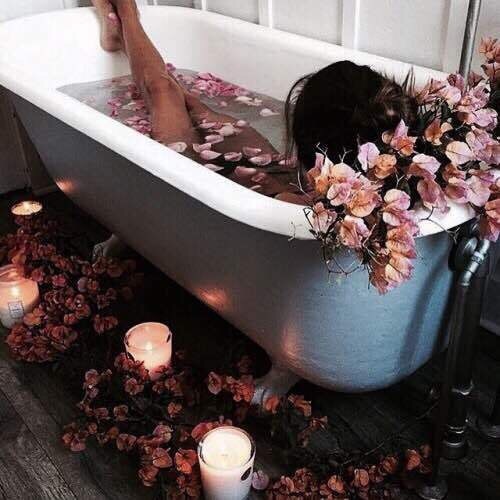 When I’m stressed out (which has been quite a bit lately), I light some candles, put on some music and unwind in a bubble bath, letting the events of the day float on and away with the melody. What I listen to depends on what I need. If I need to be pumped up, I’ll put on some late nineties/early aughts tunes or Britney Spears. If I am irritable, I’ll put on Christina Aguilera’s 2002 album ‘Stripped’ (this was the first album that made me fall in love with music as a kid). When I need to relax and let go of tension, there are a handful of songs that I always turn to. From Enya’s ethereal melodies to Jack Johnson’s gentle strumming, this is my go-to playlist for when I need a little R&R. Enjoy! Foodies, rejoice! This Aussie line of quirky clothes celebrates all things delicious, with each collection centering around, you guessed it, food. Designer Lara Ivachev first launched her brand in June of 2012, with the goal of creating a line of clothing that was unabashedly playful and eccentric. 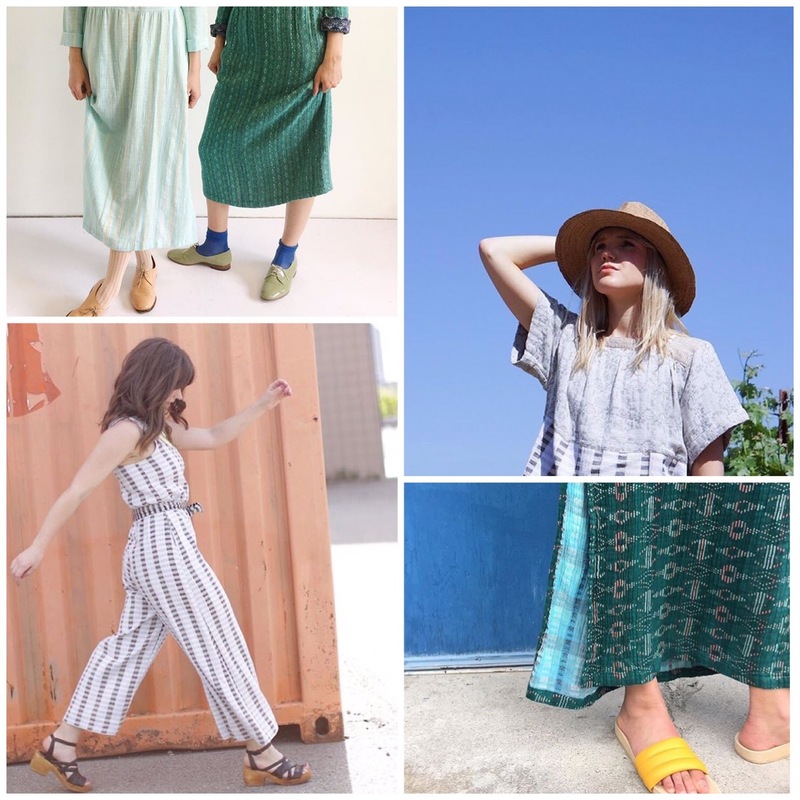 Discarding the idea that clothing should be classic and understated, Lara believes getting dressed should be as fun as it was when we were children playing dress up in our mother’s clothes. Flashy prints, loud, in-your-face colours, and pop-art inspired motifs are this brand’s mainstays, along with accessories and jewelry modeled after your favorite childhood snacks. Just a warning, the gummy bear, and sour worm earrings look so much like the real thing, you’ll have to remind yourself not to eat them! With each collection, Lara manages to connect the dots between food and fashion. This concept feels SO right now, with many popular Instagram feeds showcasing food photographs that are as meticulously and creatively styled as Vogue editorial spreads. In today’s social media-driven age, you will be hard pressed to find a restaurant where someone isn’t taking multiple shots of their meal before they allow themselves to indulge. Eat Me Do takes this concept of food as an accessory and runs with it, creating mouthwatering confections that combine avante garde style with a culturally aware sense of humor. From fashion to food, this lighthearted brand ties these two worlds together, celebrating above all, pleasure, beauty, and fun. Tasty.